Tongue twisters, as you probably know, are silly poems that use very similar sounds. They’re especially popular with children, though it’s probably safe to say that there are a fair number of adults who enjoy them as well. And, why not? They’re fun, they teach vocabulary, you can sound silly and nobody minds, and they illustrate the idea of alliteration – when you use multiple words that start with the same sound. 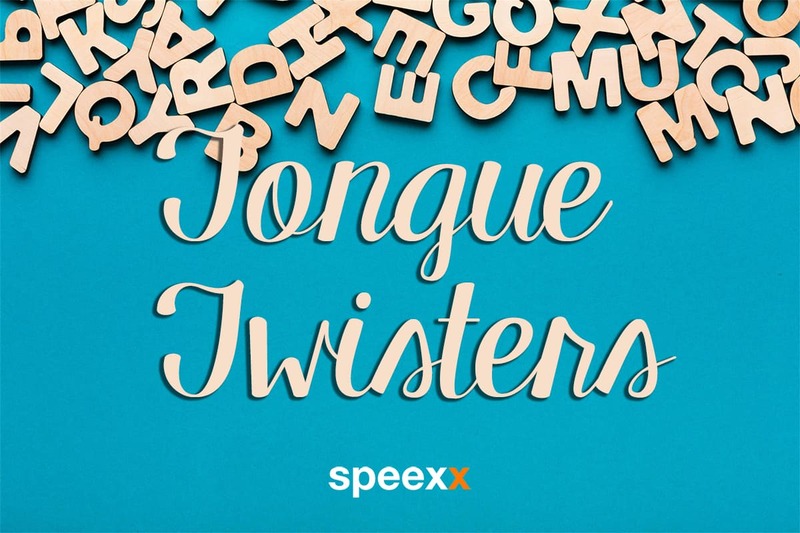 In fact, the term “tongue twister” is a great example of alliteration in itself! They’re common in every language and always tend to range in difficulty. Italian has “Sopra la panca la capra campa”, Chinese has “The Lion-eating Poet” which is all the same sound just different tones, and German has a number of beauties as well. It’s not just for learning spoken languages, either! American Sign Language has “finger-fumblers”, which are the equivalent of rhymes! Tongue twisters are a fun way to practice English, while also learning about its many different sounds and concepts. Start by saying these tongue twisters slowly and, as you improve pronunciation skills, begin to say them faster. Ah, yes… Mr. Piper. We mother-tongue English speakers grew up with you in the classroom, on the playground, and even sitting on grandpa’s knee (true story). Until I wrote this, I had no idea what a woodchuck was. Woodpeckers are small birds, but woodchucks are actually more similar to groundhogs. Crazy. With a wide range of movements, this one is great to warm up all areas of the mouth. Grammatically, you get questions and answers, a couple of different modal verbs, and even a conditional! Here’s where things start to get a bit more complex. The dreaded “th”. The ‘voiced th’ /ð/ and ‘unvoiced th’ /θ/ sounds are the only pair of English sounds that share a single, common spelling. Tongue Twisters are like jumping jacks for your pronunciation, but possibly the most difficult of all time is one that a group of researchers at MIT put together. The psychologists who created this tongue twister said that people who attempted to say it either stopped right in the middle of saying it because it was too difficult or could only get through it once and weren’t able to repeat it. Being able to work out a particular sound pattern with a tongue twister helps not only with perfecting the sounds of consonants, but also with being able to speak the language quickly and clearly. Learn a few tongue twisters and repeat them several times each day and you will see a noticeable improvement. If tongue twisters still aren’t your thing, there are lots of alternatives to help you. Learning to read the words of a poem, or the lyrics of a song, or to read aloud regularly, the lines of a famous speech, can all help to make English speaking more comfortable.